Found black and white photo booth photo (torn.) Enlarged, cut out, and colored with photo dyes, paint pen, markers, and pen. 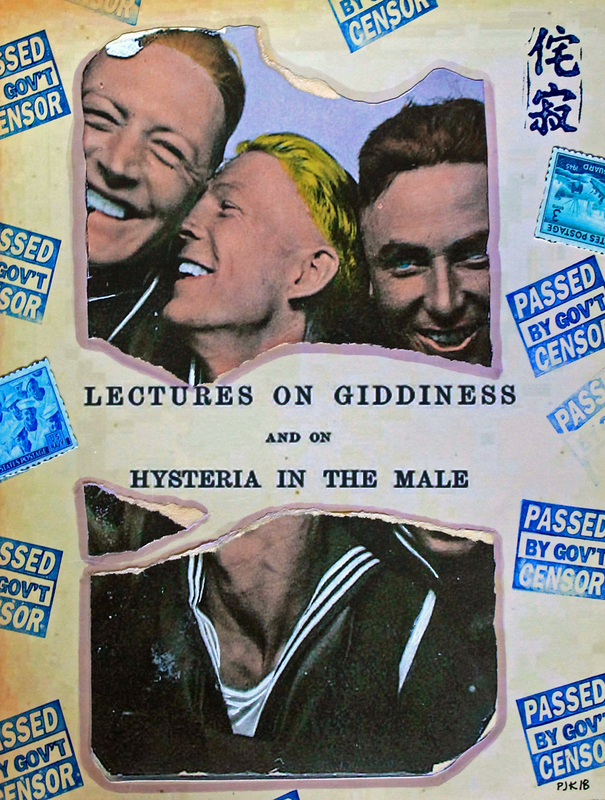 Collaged with a vintage title page from "Lectures on Giddiness and on Hysteria in the Male." Stamped with government censor stamp and the wabi-sabi mark for this series. Period postage stamps.